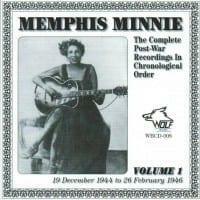 Memphis Minnie was the greatest “woman with guitar”! She played with great musicians like Casey Bill Weldon, Kansas Joe McCoy and Little Son Joe, who also became her husbands. 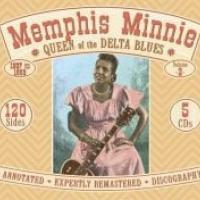 In the 20´s, she also played with Willie Brown, Robert Johnson´s “Friend Boy”. Her hits were “Bumble Bee”, “Me and My Chauffeur Blues” and many more! 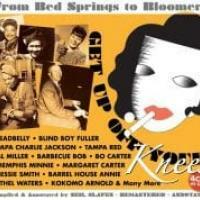 On this CD are her best recordings from the 30´s to the 50´s. 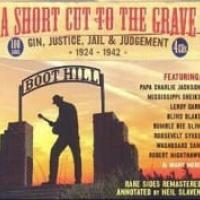 The great Bukka White said: “She was about the best thing goin´in the woman line”. Una de las grandes referencias del blues rural de preguerra fue sin duda la excepcional Memphis Minnie. Cantante y guitarrista de enorme talento, fuerza y sensibilidad, esta mujer nos dejó un legado musical inigualable. 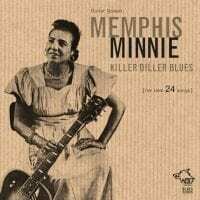 Memphis Minnie tocó y grabó en solitario, así como acompañando o siendo acompañada de algunos de los referentes históricos de este estilo de blues rural de los años treinta y cuarenta. Algunos de estos músicos fueron los guitarristas y cantantes Casey Bill Weldon, Little Son Joe o Kansas Joe McCoy o los pianistas Black Bob, Little Brother Montgomery o Sunnyland Slim entre muchos otros. 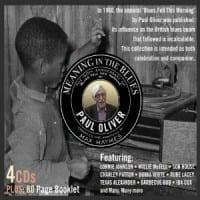 No nos cansaremos nunca de alabar la encomiable labor de Hannes Folterbauer, propietario y director de la compañía austriaca Wolf Records, en recuperar viejas e históricas grabaciones de legendarios artistas de blues, como es el caso de estas veinticuatro canciones de Memphis Minnie que cubren el período que va desde 1929 hasta 1953 y que nos permiten disfrutar y deleitarnos con el arte con el que esta artista supo expresar la alegría, el dolor, la felicidad, la desdicha o las vicisitudes que Memphis Minnie pasó a lo largo de su vida. Es un deber y una obligación que esta pequeña joya tenga un lugar en tu colección. IMPRESCINDIBLE. 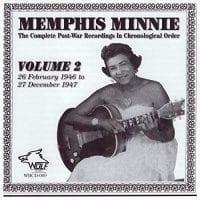 Undoubtedly one of the major references of pre-war rural blues was the superb Memphis Minnie. Singer and guitar player of enormous talent, strength and sensitivity, this woman gave us an unmatched musical legacy. She played and recorded solo, but she also backed or was supported by some of the greatest historical 30’s and 40’s rural blues artists. 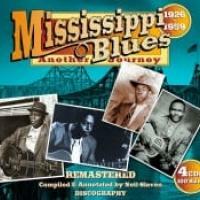 Some of them were guitar players and singers Casey Bill Weldon, Little Son Joe or Kansas Joe McCoy or piano players Black Bob, Little Brother Montgomery or Sunnyland Slim to mention only a few of them. 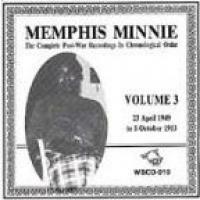 I will never be tired to praise the impressive work of Hannes Folterbauer, owner of Austrian label Wolf Records, to preserve and take back old historical recordings by legendary blues artists, as is the case of these twenty-four songs coming from Memphis Minnie that cover the period that runs from 1929 to 1953 and, in this way, allow blues lovers to enjoy and delight with the musical art this woman gave in her songs to express feelings like joy, pain, happiness, misery or the different problems she suffered during her life. It is your duty and your responsibility to find a place of this small treasure in your record collection. ESSENTIAL. Track Listing: 1. Tears on My Pillow – 2:46 2. Sweet Man – 0:36 3. Sweet Man – 2:51 4…. How to sin…99 different ways. In the 1920s, record companies found the Black audience could be profitable. Record sales soared….